How much is Anthony Scaramucci Worth? Anthony Scaramucci net worth: Anthony Scaramucci is an American financier, author, and entrepreneur who has a net worth of $200 million dollars. Anthony Scaramucci was born in Long Island, New York in January 1964. He is known for being the founder and co-managing partner of the investment firm SkyBridge Capital. Anthony earned an economics degree from Tufts University and his J.D. from Harvard Law School. He worked at Goldman Sachs from 1989 to 1996. In 1996 he left to launch Oscar Capital Management. He founded SkyBridge Capital in 1995 and the firm eventually grew to have over $7 billion in assets under management. He received the Ernst & Young Entrepreneur Of The Year Award in 2011. He has authored two books and is a frequent commentator and speaker. He speaks at the annual meetings for the World Economic Forum in Switzerland. He is also often featured on CNBC. His company SkyBridge acquired the rights to the TV show Wall Street Week in 2014. He serves on the boards of Warrior Gateway and The Brain Tumor Foundation. He is on the Board of Advisors for the School of Arts & Sciences at Tufts University and the Harvard Law School Leadership Counsel. Scaramucci was initially a supporter of Jeb Bush during the run up to the 2016 Presidential election. In May 2016 after Donald Trump became the clear front runner of the race, Anthony joined the Trump Finance Committee. 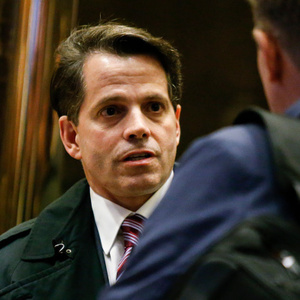 In November 2016, after Trump won the election, Scaramucci was named to Trump's Presidential Transition Team Executive Committee. On January 14 2017, it was announced that Anthony Scaramucci was selling SkyBridge to a Chinese bank for $11.5 billion. This sale his been mired in regulatory hold ups. The Mooch was President Trump's Director of Communications for exactly 10 days in July 2017. Net Worth: In 2010, CelebrityNetWorth estimated The Mooch's net worth to be $40 million. In October of that year we received a cease and desist from a law firm representing Scaramucci. The legal threat claimed our $40 million estimate was "materially false". Their implication was that he was worth far LESS than $40 million. We followed up to see if they could provide more information that could illustrate their point of view. We did not receive a reply. Around the same time, we found a CNBC interview from 2008 where Scaramucci himself claimed his net worth was $80 million. So erring on the side of caution we updated his net worth to be $80 million. In August 2017, Scaramucci's financial disclosure was leaked to the press. 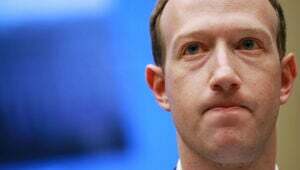 In the disclosure listed his liquid assets as being worth $85 million. He also reportedly has various illiquid assets including several real estate investments, a minority stake in the New York Mets. He listed three mortgages, with total liability in the range of $2.5 – $7 million. The big x-factor in Anthony Scaramucci's net worth is whether or not the $11.5 billion deal to sell SkyBridge ends up getting approved by regulators and what his actual take from that deal will be when it's all said and done. We've heard a variety of answers from the media and our sources for how much Scaramucci stands to earn from the sale of SkyBridge. On the low end, we've heard his personal take would be $100 million. On the high end, we've heard it could be as high as $750 million. The really interesting thing about the sale of SkyBridge is that leaving his White House job, Scaracucci will lose a major tax benefit called a "certificate of divestiture". This certificate allows people who sell assets before taking a government job (in order to avoid conflicts of interest) to sell those assets at a favorable tax rate. Someone using this allowance would take the proceeds of a sale and invest them into US Treasuries without paying any taxes in the short term. When those treasuries are eventually sold, the proceeds would be taxed at the long-term capital gains rate of 15% instead of 39%. If Anthony's proceeds from the SkyBridge sale are $100 million (the lowest estimate we've heard), then this rule would have allowed him to pay $15 million in taxes instead of $39 million. In other words, using the low-end estimate, leaving his White House job cost The Mooch $24 million. Since Anthony has a history of sending legal threats about his net worth, we want to make it clear that the numbers here are estimates based on the best available research we could find and information we have received from private sources. We are constantly working to find the best and latest information to calculate the most accurate current estimate for his net worth. But it is an estimate.